Hi there...I hope you all had a nice weekend. 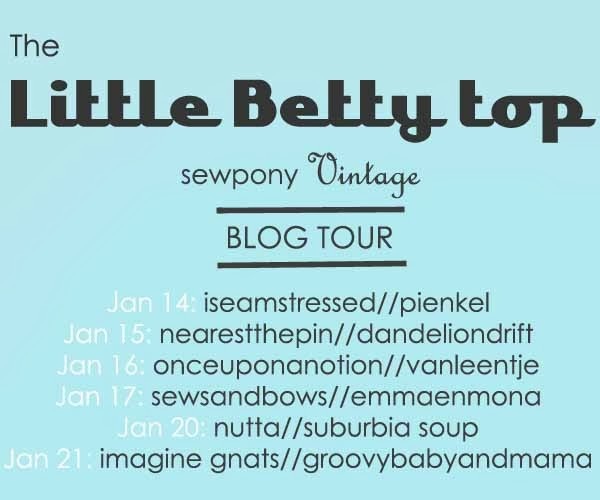 Today for the second last day of The Little Betty top blog tour, Shino from Nutta! and Venus from Suburbia Soup are sharing three gorgeous tops which I can't wait to see more of! Until Wednesday 22nd Jan, you can purchase my pattern for $7AUD (usually $8AUD) by using the coupon: BETTYTOUR1. To purchase my pattern, click HERE. If you have already made a Little Betty, please feel free to add it to the sewpony vintage flickr pool. Shino writes the blog Nutta! which I happily discovered a few months ago. Shino is Japanese and moved to America three years ago. She has only been sewing for 12 months - so great!! She sews for her two daughters and for herself. Shino is new to sewing and even newer to blogging - she has only been blogging for eight months, but has already built up an impressive repertoire of beautiful handmakes You can read more about Shino here, and you can see an overview of her 2013 creations here. I can't wait to see more of this sweet gold heart Little Betty over at Nutta! Venus is the super creative Mum behind the blog, Suburbia Soup. She has guest posted here at sewpony for When we were young. She sews the coolest stuff for her sweet sweet daughter Lala. How cool is this Louisa dress? 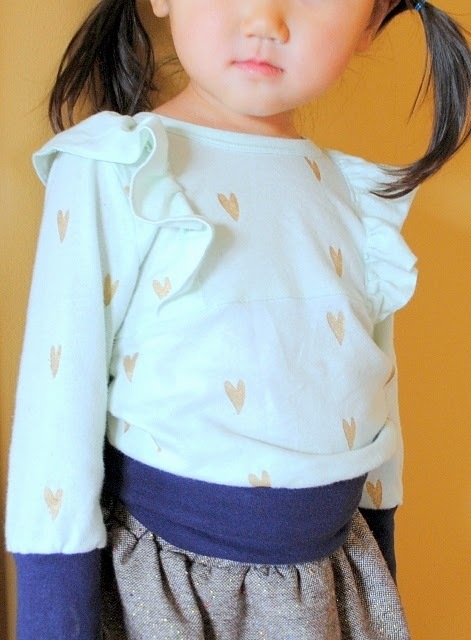 I am pretty excited that she will be sharing two Little Betty tops today...how cute is the pic below?? I am jealous of that knit fabric!! I can't wait to see more. Go to Suburbia Soup and say hi to Venus and little Lala!! Thank you so much Shino and Venus for testing and helping me on my blog tour... your tops make me happy!! Make sure to check in tomorrow to see what Rachael and Trine have cooked up!! Thank you so much for having me for blog tour and such a sweet intro, Suz!